We are crazy about animals at Ecwid. Our support team even celebrates a monthly Bring Your Cat To Work day—no kidding! Pets are family for many of us. The furry creatures that we bring into our lives grant us unconditional love, stress relief, and companionship. I can’t help but smile after a long day when my own cat, Herbie The Love Bug, greets me at the door. 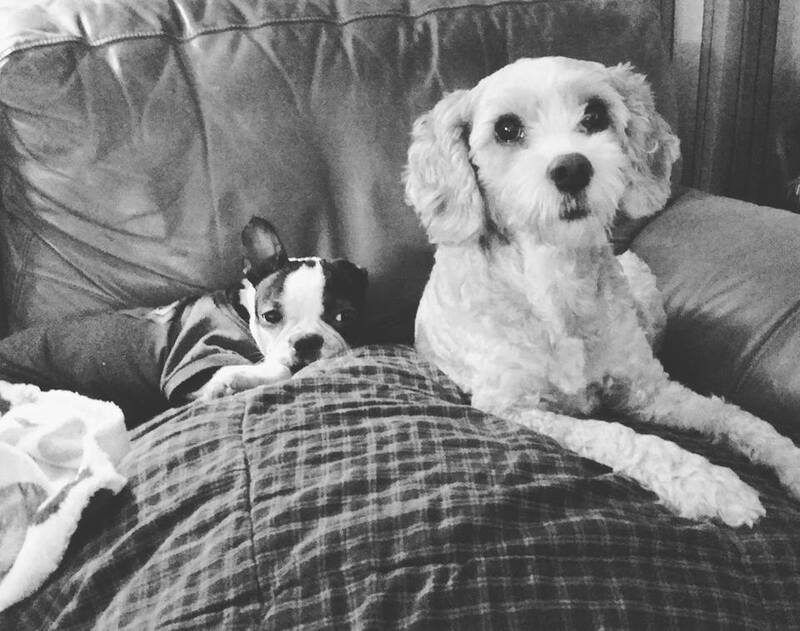 Treating our pets like family has resulted in a fast-growing, lucrative, business niche. In 2015, in the United States alone, we spent an estimated $60 billion on our pets! 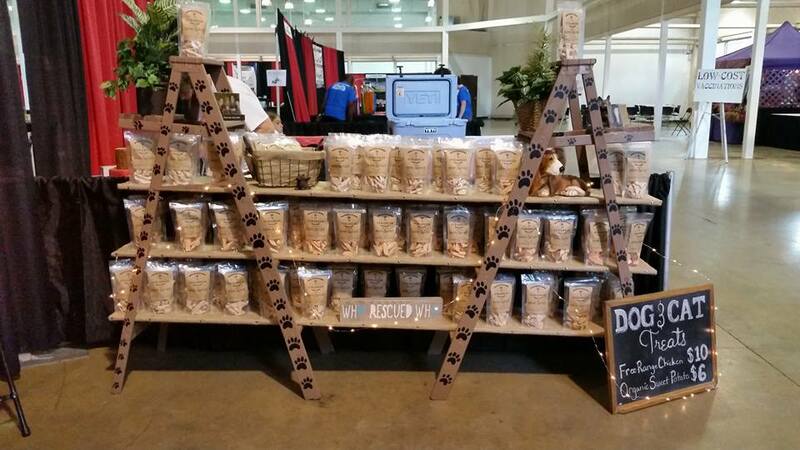 In anticipation of Love Your Pet Day—this Saturday, February 20th—we chatted with Erin Tonning of budding Memphis, Tennessee, pet treat brand, Tukabear Treats, to learn about her product and operations. 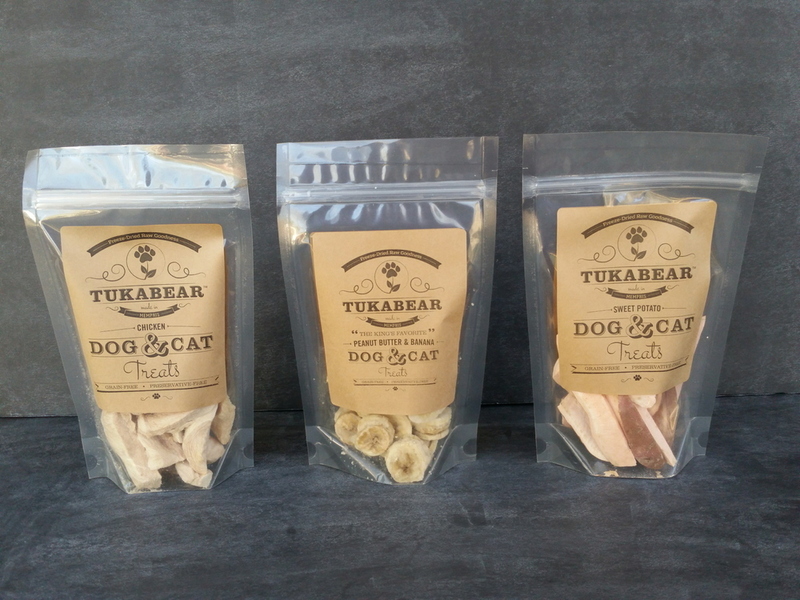 Tukabear Treats are freeze-dried, preservative-free dog and cat goodies made with 100% free-range organic ingredients without any antibiotics at all. Tonning is the owner, creator, and head chef of the Memphis company. The brand is affectionately named after her pup, Vegas, who goes by the nickname Tukabear. Like many Ecwid merchants, Tonning works a full-time day job. She also loves to cook, and has become increasingly concerned about the quality of foods her family eats. She regularly seeks out locally sourced meats and organic veggies, extending this healthful mentality to her own pets’ diets, feeding them grain-free, limited ingredient foods at mealtimes. 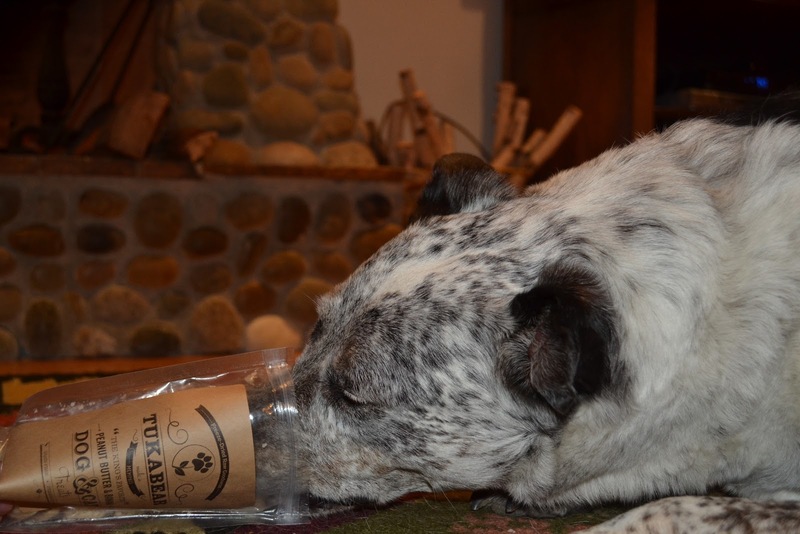 Research and development for Tukabear Treats came about organically. Tonning began researching the ingredients in her dogs treats, only to be shocked at the amount of preservatives and unnatural additives she found they contained. I could find healthy food for meals, but the treats were literally full of junk food, she said. Through her research, Erin discovered that freeze-drying is a great way to extend the shelf life of these foods without requiring any additives or preservatives. Tonning is happy with her day job and is lucky to have a supportive boss, but her entrepreneurial spirit was driving her to do something more with her free time, she said. Partnering with her husband, the pair turned a detached building in their backyard into a test kitchen. The biggest expense was the purchase of a freeze-drying machine. I thought if nothing else, I was embarking on a new hobby that would help make my family healthier, but I really believed I was onto something. Tonning said. We asked Erin about the process of creating her website, branding, and marketing tactics, and how she developed her customer service philosophy. She shared that this is her second online venture, so she had some valuable past experience to draw upon. She knew that she wanted a feminine, urban look and feel that reflected the company’s hometown of Memphis, TN. Her goal was to appeal to women, which her research indicated are the most likely buyers for high-end pet products. Rather than create her website from scratch like she did in the past, she chose a $80 WordPress theme that fit her vision, hired a graphic designer friend to create her paw flower logo, and with only two products at launch, she integrated the free Ecwid plan into her site. Tonning discovered that some events are more worthwhile than others. She advises new business owners with limited marketing funds to attend events focused on shopping. For me, holiday bazaars and local craft markets had a much better return on investment than pet adoption & walk/race events, but both helped to get our brand out there, she said. To further personalize the buying experience, Erin also writes a personal note on each invoice and invites her customers to share their pet photos by tagging her on Instagram at @tukabeartreats. Pawtners are four-legged sales reps whose owners share their #tukabeartreats love on social media platforms, Instagram being the most popular of them. Tonning recently upgraded to the Ecwid Venture plan to take advantage of discount coupons, which drive the Pawtner program. Each Pawtner has a unique coupon code, earning a small commission and credit towards treats for each sale they influence. One of the things the Ecwid crew absolutely loves about the Pawtner Program is that participants can opt to donate their commissions to a favorite animal rescue organization and Tonning will match the funds. I loved the order status emails, cute paw print packaging, and personalized note enclosed, each touch a testament to Tonning’s commitment to customer connection. The real test came when we engaged our four-legged friends. Nick’s pup, Lola, is a huge fan of The King’s Favorite. 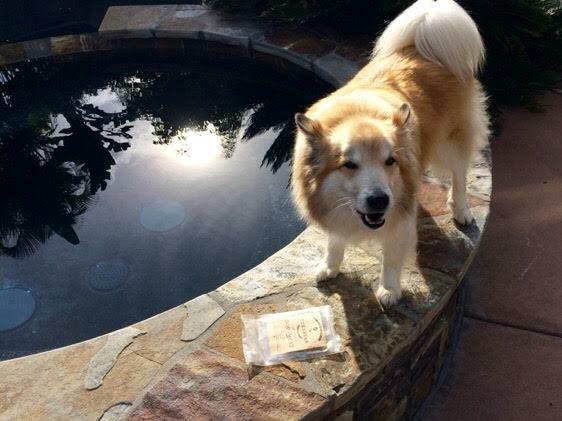 Ecwid President Jim’s dog, Mori, went crazy for Sweet Potato. My kitten, Herbie, can’t get enough of the Chicken variety. Ecwid pets are unanimous in their feedback: 12 paws up! Tukabear Treats has already processed hundreds of orders and the young brand is off to a fantastic start. The Tonnings just purchased their second freeze-drying machine in order to keep up with demand and have great things in store for 2016. You can keep up with them on their Instagram account and on their blog. 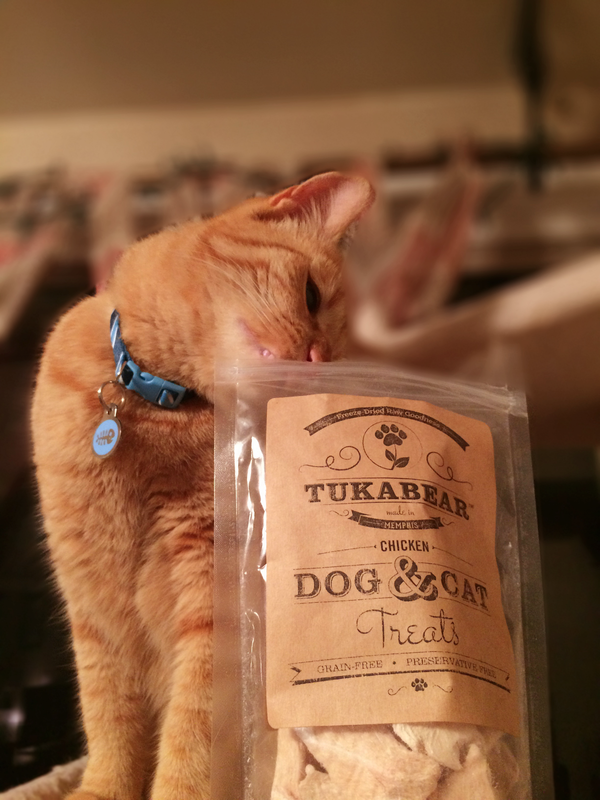 In celebration of National Pet Day, Ecwid fans are invited to discover Tukabear treats at a special 5% discount rate. 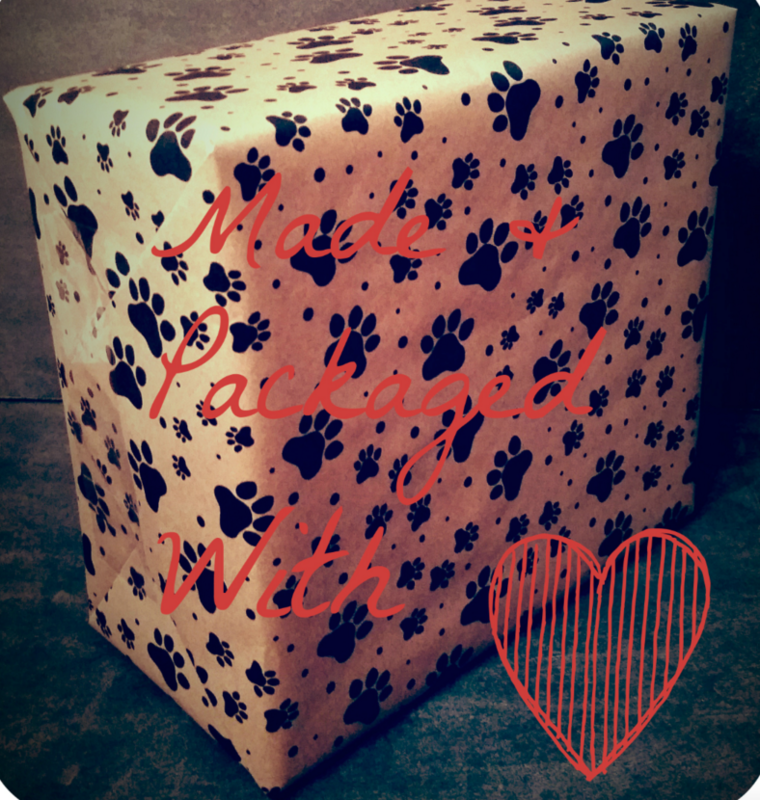 Just enter the coupon code Ecwid at checkout and get ready for your pet to thank you!